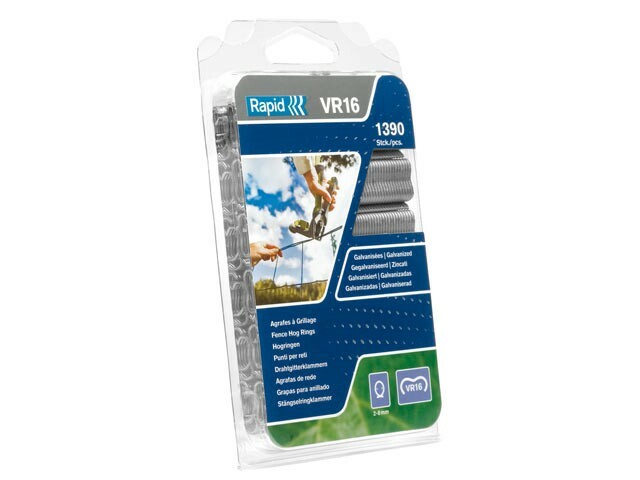 Rapid VR22 hog rings are made from galvanised steel and are designed for use with the Rapid FP20 and FP222 Fence Pliers. Please check your fence pliers for compatible sizes. The hog rings are designed for Ø5-11mm netting wire and ideal for fixing fences onto tensioned wires.